Have you missed the information about one of the most anticipated blockbusters of 2015? Then today is your lucky day, because now we are going to tell lots of fresh Star Wars: Episode VII news, among which you will find the details about the new alleged movie’s release date and another actor who may take part in the film’s shooting. We will begin with bad news for those who eagerly anticipate the movie’s launch. If you remember, initially Star Wars: Episode VII release date has been scheduled for the end of 2015, but now, apparently, it will be postponed. According to the numerous sources, so far this film will hit the cinemas only in 2016. If you follow the news concerning this blockbuster, then you know that one of the main film’s actors - Harrison Ford - has broken his leg during the shooting of the picture. It may seem that it’s not a big injury to become the reason of the film’s delay, but, as it has turned out, Ford’s fracture has a “severe nature”, and he won’t be able to take part in the movie’s shooting for a half of year. Maybe, J.J. Abrams will rewrite the parts of the script, where Han Solo - Harrison Ford’s character - plays, or he will remove some scenes, but nevertheless, as it seems to us, the film will be delayed. But that’s not all Star Wars: Episode VII news for today. According to the information, provided by the journalists of The Sun portal, another one actor may appear in Star Wars: Episode VII movie. 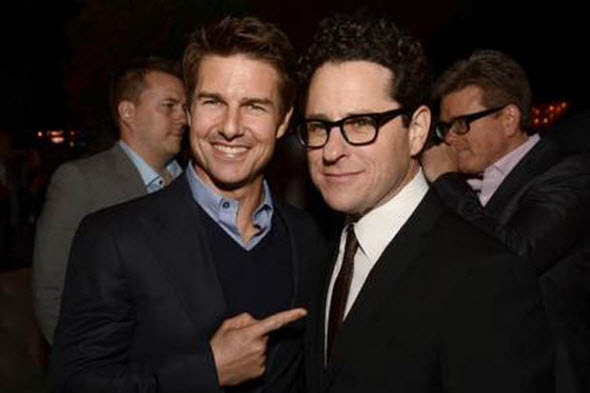 You won’t believe, but we are talking about Tom Cruise. As this source tells, the abovementioned actor is "in talks" with director - J.J. Abrams - for a possible appearance in the upcoming film. We don’t know, which character he can play and whether this information is truthful or not, but we will tell you as soon as get to know. And the last thing, which we would like to present you today, is a funny trailer, created by one of the franchise’s fans. It is made in the style of the teaser for Guardians of the Galaxy movie, which will be released soon. Enjoy! What do you think about fresh Star Wars: Episode VII news? Are you upset with new alleged Star Wars: Episode VII release date? Your comments and answers can be left at the bottom of the page.